Long-form articles are fading into the past. Yet the New Yorker occasionally offers deep dives on interesting marketing-relevant topics. I had some time on a recent plane ride, so I found time to read “Game of Thrones” (April 21, 2014). For this article, author David Owen researched what airlines are doing to “woo the one percent” — more specifically, how they design airline seats. (Full disclosure, I read this from the typical tourist class seat). Owen talked with design firm James Park Associates, about the work they have done for several airlines. To check out some images from Singapore Airlines Next Generation Business Class Cabin and Seat click here. It is a fascinating look at new product development to enhance the air travel experience. This article might be used to provoke a discussion about how airlines differentiate their services. Who is the target market for this first class treatment? What could be done to woo the other 99%? Insurance used to be a boring product category. Then, in the automobile category, along came the popular GEICO gecko. Now we have Flo (Progressive), Aaron Rodgers (State Farm), and Mayhem (Allstate) who are all making insurance advertising fun — and generating sales revenue. Health insurance on the other hand has remained boring. Maybe because it wasn’t really a product that consumers bought — most get their insurance from their employer and have no choice of insurance carrier and maybe little choice about the plan. As we move into the implementation of Obamacare, much of that is going to change. Marketing managers at health insurers are likely to start trying to create an image for their companies. And most of these companies will be chasing young, healthy consumers (read profitable — as they tend to use less health care). That leads to this fun story at NPR’s Planet Money, “Will a Health Insurer Sponsor The Next ‘Jackass’ Movie?” (July 12, 2013 — the audio version of the story is longer and much more interesting). This topic could provide the groundwork for an interesting class discussion or assignment. It might be fun to ask students how a health insurance firm might appeal to their target market? Students are the prime target market. Ask them to think through all 4 Ps to make it more interesting — though the bulk of the strategy will probably revolve around Promotion. You might remind them of the auto insurance market to prime the pump. This activity allows you to discuss a service product and a product category students don’t often think about. This article in the Wall Street Journal, “Retailers Wage War Against Long Lines” (May 1, 2013, non-subscriber may need to click here) describes how Kroger, Nordstrom, Wal-Mart, and Chili’s are using technology to shorten the time customers spend waiting in a checkout line. 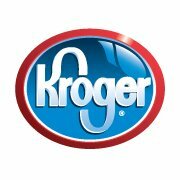 For example, Kroger uses infrared cameras above checkout lines to monitor the number of customers waiting in each line — using that information to automatically deploy more help when needed. The efforts have reduced customer wait time from an average of 4 minutes to just 26 seconds! The article provides examples of technology as applied to service businesses, customer service, and retail. Campus Cooks has developed a business preparing food for fraternities and sororities. This article at Bloomberg Businessweek “Campus Cooks Aims to Supply Good Food to Greek Houses” (May 16, 2013) shows how Bill Reeder developed this successful company. I like that the article shows how Reeder drew upon his own college experience to identify a need. This is an example of consumer needs and product/service that our students can relate to. We have also posted this example at Learn the 4 Ps. What can be done about the awful experience of buying a car? At the end of the car-buying experience, few people can say they genuinely enjoyed the experience. A recent Planet Money podcast details many of the reasons “Why Buying A Car Is So Awful” (February 12, 2013). The story mostly blames complex franchising laws that protect car dealerships — making it difficult for automakers to get drop dealers that fail to deliver a quality buying experience. If you give this story a listen, you will have a story to your students when you cover channels of distribution. What can a carmaker do? And will it pay off? For some evidence, see “Continuum Redesigns Audi’s Car Dealership Experience” (Bloomberg Businessweek, February 14, 2013) which points out that Audi’s repurchase rate (the percent of Audi buyers who return to buy another) is 46%, compared to 55% plus for its major German competitors (i.e., BMW and Mercedes Benz). A research study Audi commissioned found that an average dealership could sell as many as 217 additional cars by improving customer service. So Audi hired a service design firm to improve the customer purchase experience. These two stories could be used to give your students an in-class challenge. Ask them to redesign the new car auto purchasing experience as an exercise. I am going to have students work in 2-3 person teams for 10 minutes and have them generate ideas. These types of critical thinking experiences can be fun — and get them engaged in the material. I think this works well when you cover retailing or channels of distribution. It might also fit with a discussion of product. We start our product chapter by describing how experiences involve a combination of good and service. It provides a nice reminder for customer lifetime value (a concept we introduce in chapter 3).